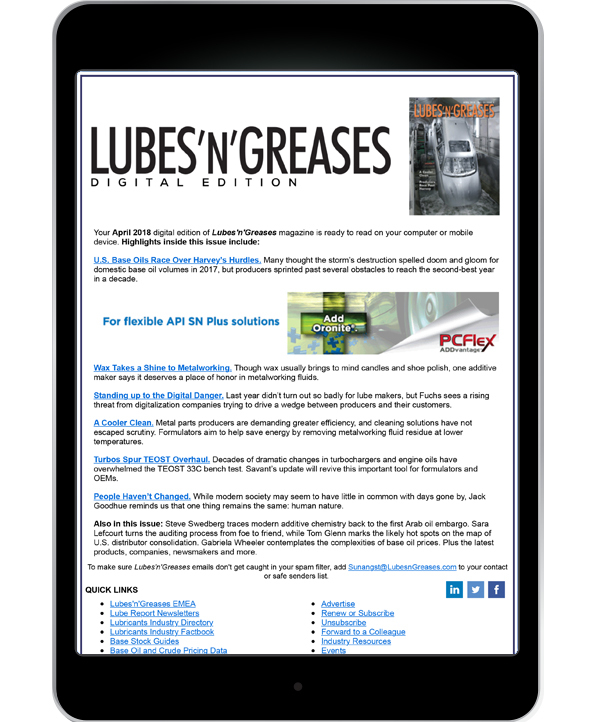 Each month all subscribers to the digital editions of Lubes’n’Greases and Lubes’n’Greases EMEA magazines receive an email alerting them that the latest issue has been published, with a link to open it. Seven to ten days later a second email is sent to any subscriber who did not open the first email, resulting in very high cumulative open rates. Only one advertising position is available per issue. Your ad appears in both the original and follow up email.